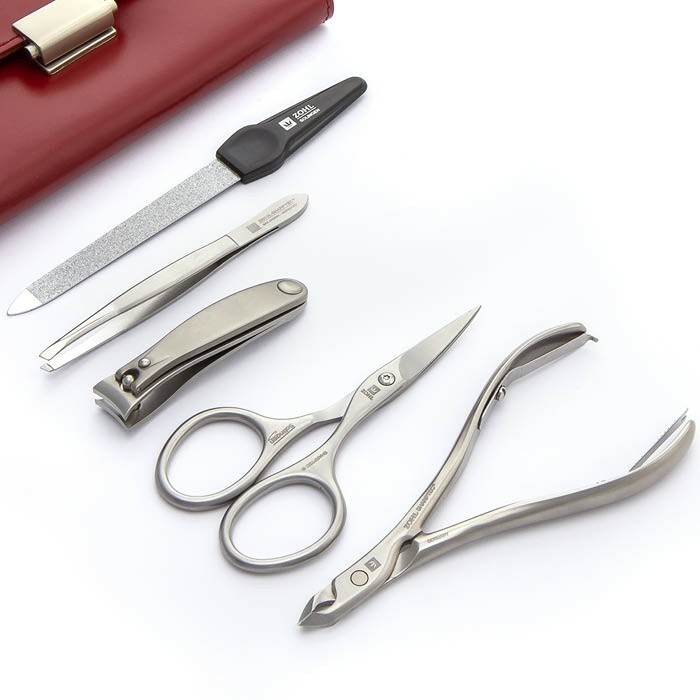 Solingen manicure set for ladies Grazia is a marriage of the finest German craftsmanship with the strong surgical steel, that produces the best quality manicure set with decades long sharpness. 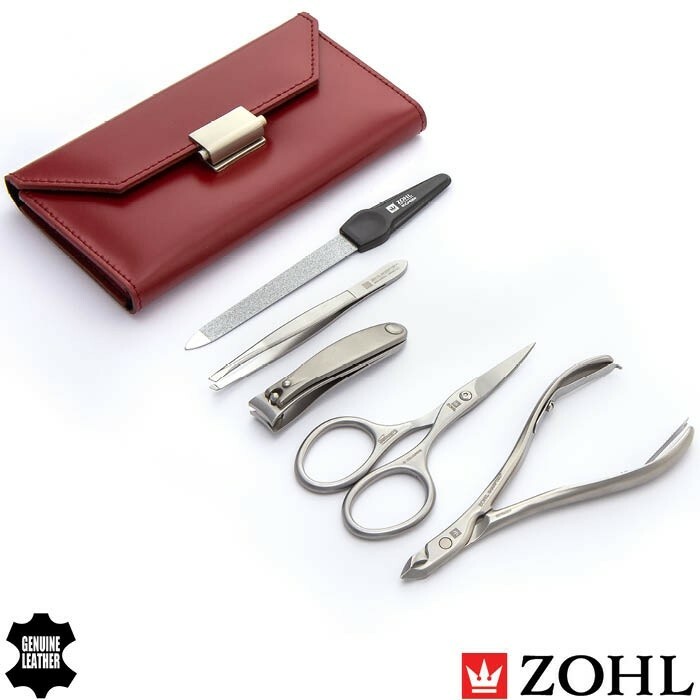 Crafted by hand in the German city Solingen, the Grazia includes 5 professional manicure instruments, all made of stainless steel with a sharp and precise cutting edge. 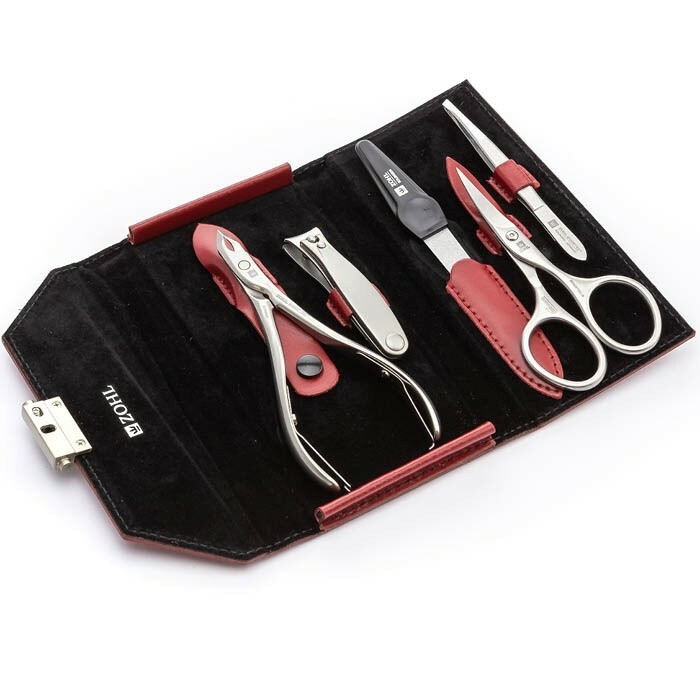 It is an essential manicure set for a lady who cares about beautiful hands achieved with the best nail and cuticle cutters, nail file and eyebrow tweezers. 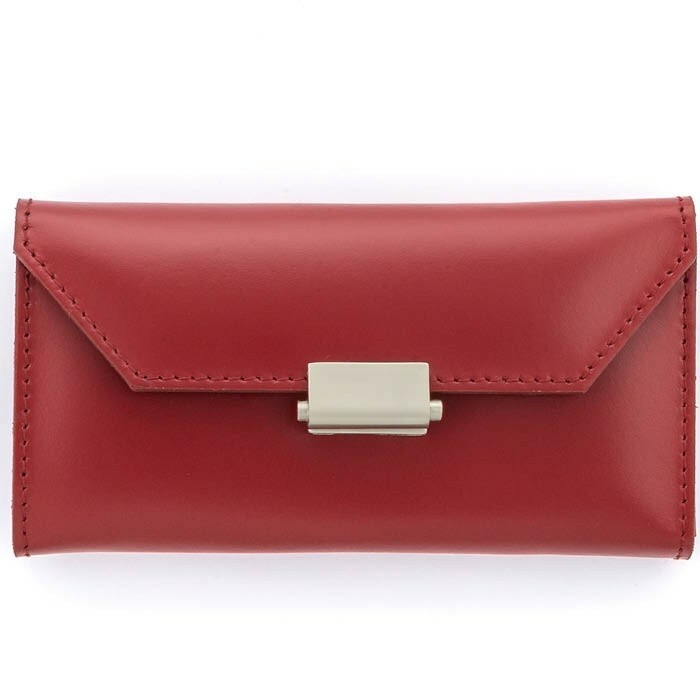 Luxury leather case in elegant red tone adds further elegance and makes Grazia a charming gift for every lady. 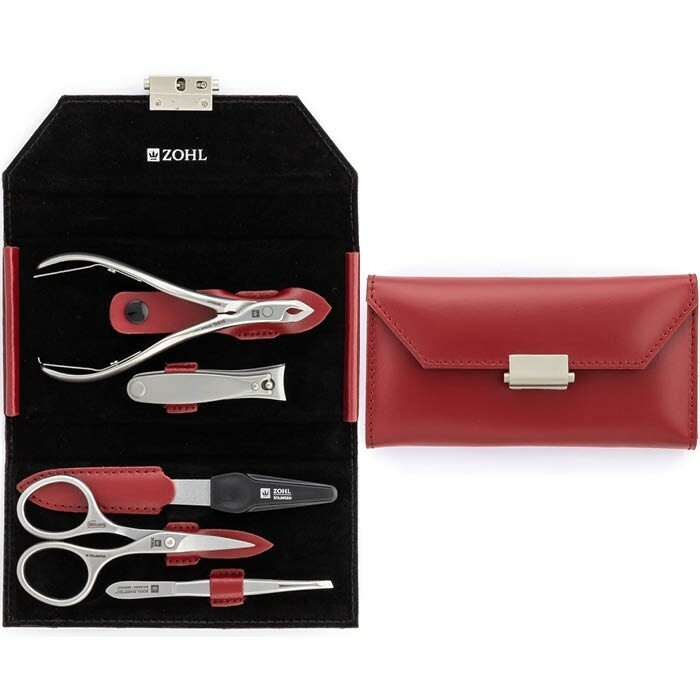 High quality German manicure sets come in all different shapes and sizes, with ZOHL Grazia topping the list for its finest quality manicure instruments SHARtec. 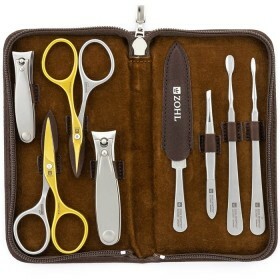 It is crafted from professional stainless steel DIN1.4034 approved in surgical instruments. 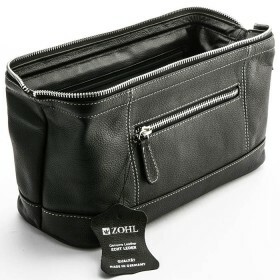 Specially forged, the steel boasts a very strong structure which means the blades will keep sharp for many years and award with a neat and clean trim, time after time. 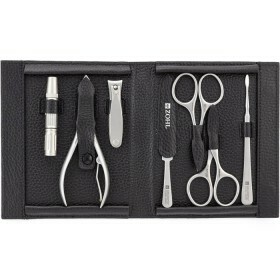 The manicure instruments are crafted in the old city of Solingen, Germany. 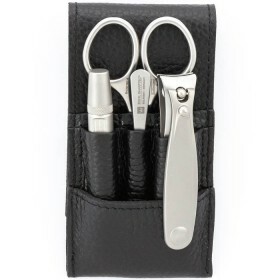 Solingen nail clippers, scissors and other instruments for manicure and pedicure are regarded the highest quality for their immaculate sharpness, precision and durability. Solingen craftsmanship is carefully protected by the German Government. 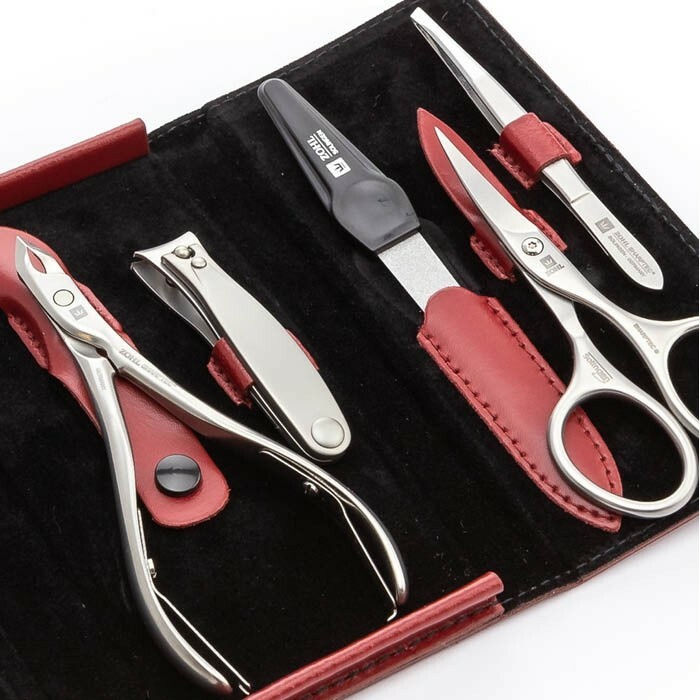 And by buying an authentic Solingen manicure set, you make a smart investment into long lasting sharpness of the cutting edge that will delight for decades ahead. 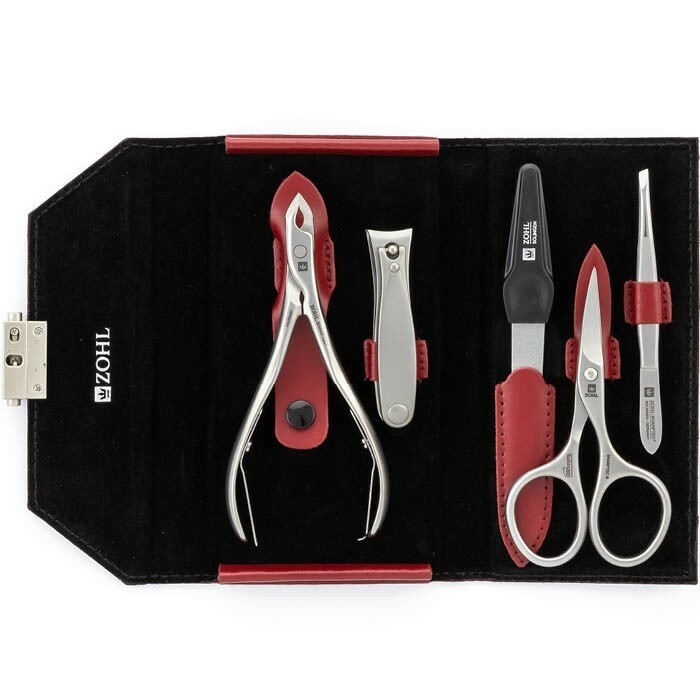 Premium quality nail tools in the Grazia kit beautifully nestle in the red case made of genuine leather with contrast black lining. 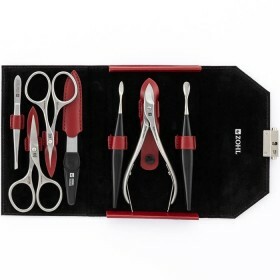 Perfect manicure set to spoil yourself or gift to someone special on Christmas, Mother's Day or Birthday.